Celtics Summer League - who plays - who doesn't - the impact? The Boston Celtics Summer League starts on Friday, July 6, 2018 versus the Philadelphia 76'ers. We already know that Jayson Tatum will not be participating, and that totally makes sense. He has nothing to prove after the season he just had. Daniel Theis will almost certainly not participate. He is still recovering from meniscus surgery but may eventually play for the National Team later in the summer. Abdel Nader underwent right wrist surgery recently and is out of action for several months. Guerschon Yabusele saw little playing time for the Celtics this past season and can certainly make use of the additional floor time. Semi Ojeleye saw more court time than Yabu but needs to work on his offensive game against the somewhat-intense competition that Summer League provides. Our readers often ask about the status of Kadeem Allen, Jabari Bird and Jonathan Gibson. Kadeem Allen signed a 2-year, two-way contract with Boston last year and will most likely play in Summer League. 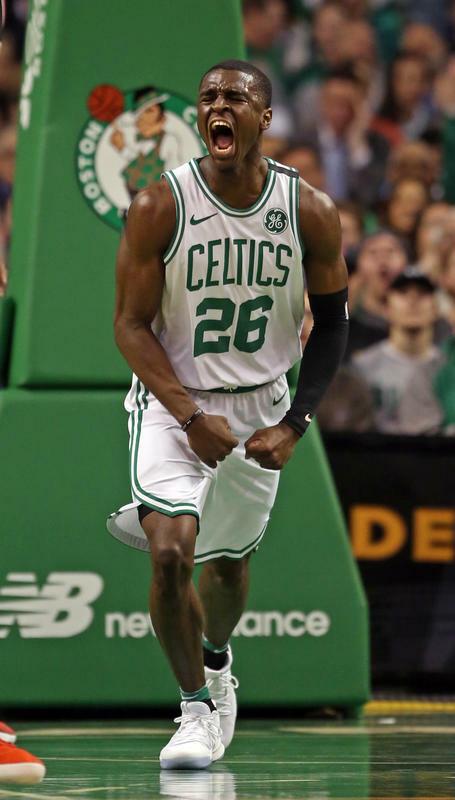 Jabari Bird signed only a 1-year, two-way contract, and per ESPN, he is a restricted free agent, but is likely eligible to play for Boston's summer entry. Jonathan Gibson is an UFA, but should be also eligible to play for the Boston team. Summer League is all about players gaining experience and playing for a contract with an NBA team. Boston currently has 11 players under contract for this coming season, with four open spots in addition to one open two-way contract. Theis' contract is non-guaranteed, but the Celtics certainly will pick that up. Semi's contract is partially guaranteed, but he should get the full amount with his rookie play. Plus, two more games in tournament plays. Times/TV TBA. Abdel Nader has only a partial guarantee of $450,000 of the full 1.4 million. Boston has until August 1st to make that decision. If he were to be waived, that would open up a fifth slot. There will certainly be a number of undrafted players that will fill out the various Summer League Teams, and the Celtics will have a great opportunity to evaluate the talent. Boston still has a say about the future of both Allen and Bird, with Kadeem on a 2-way contract and Jabari a RFA. Bird, at 6'6" with an NBA physique and approaching 24 years of age may very well end up filling one of the open roster spots this season. His size, age and defensive intensity fit Brad Stevens schemes quite well. Depending on the outcome of the upcoming draft and the Marcus Smart free agency, Jonathan Gibson may get another look from Boston. With the draft, Summer League and free agency targets, this will be a busy summer for Danny Ainge.